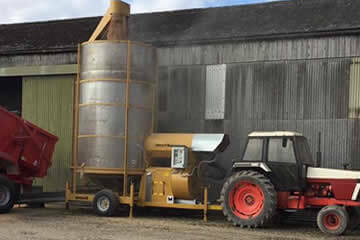 We understand the importance of finding the right grain drying machinery for your business. 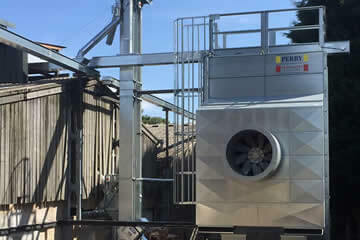 Whether you are looking for a mobile grain drier to add flexibility to your operation or the capability to cool grain completely independent of weather conditions, we can provide you with the perfect solution. 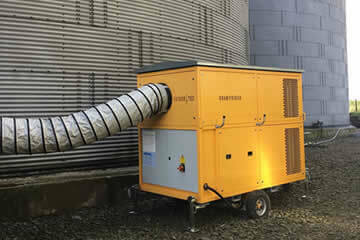 Browse our grain drying and cooling solutions below for more information. If you have any questions or are unsure which option is best for you, enquire using our contact form or call us today. The mobile grain drier delivers outstanding value with low capital investment requirements, high productivity while offering your business flexibility. 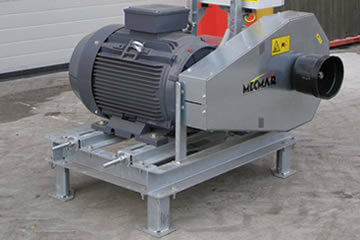 McArthur Agriculture is the only supplier of Mecmar mobile grain driers in the UK, suitable for small and large arable farms. 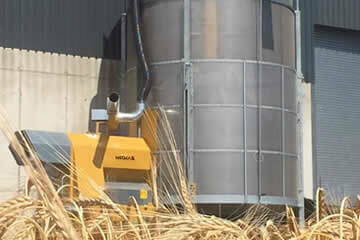 The massive productivity of continuous flow grain driers allow you to dry crops and keep up with the combine. Dry your crops as they come off the combine in all weather conditions thanks to an innovative design, built to maximise your return on investment. 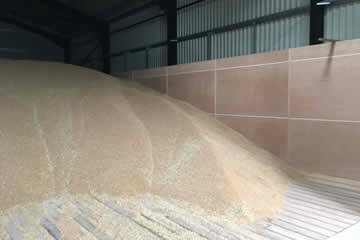 The simplicity of a grain drying floor reduces hassle at harvest, keep up with the combine and eliminating re-handling. They are energy efficient and cost effective, providing you significant savings in the long term. Our used mobile grain driers have undergone a comprehensive inspection and ready to add value to your crop at a low cost of ownership. Our technicians test all our used grain driers to make sure that they are ready for work. Refrigeration and de-humidification technology deliverers guaranteed grain cooling independent of weather conditions. With a modular design, there is the possibility to add in other features such as remote monitoring depending on your needs. 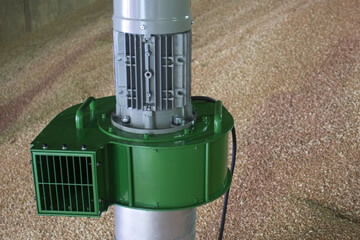 Grain pedestals and fans are a cost-effective way to cool grain in any building or store. Simple to setup, operate and maintain, cool large or small grain batches as part of a professional crop-storage system. Grain pedestals drastically reduce product deterioration from rising temperatures. Convert your tractor power mobile grain drier to three phase electric drive with this compact, self-contained electric drive unit. An electric drive unit will reduce running costs and your impact on the environment.